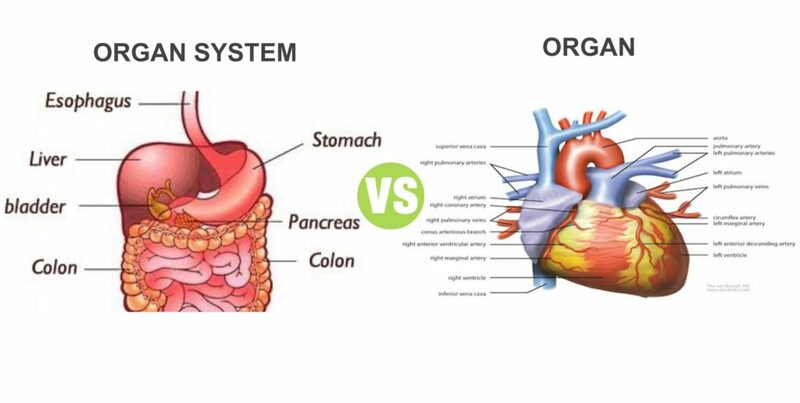 Summary: Difference Between Organ and Organ System is that an organ is defined as the structure that is formed by two or more primary types of tissues, which execute the functions of the organ. While organ system is defined as group of organs that work together to carry out specific functions of the body. Each system performs a specific function. Endocrine system is concerned with growth of the body and regulation and maintenance of normal life. Musculoskeletal system is responsible for stability and movements of the body. Nervous system controls the locomotion and other activities including the intellectual functions.